Tom, tell us a little more about your health/fitness/wellbeing focus. How you got started, and how you stay motivated? 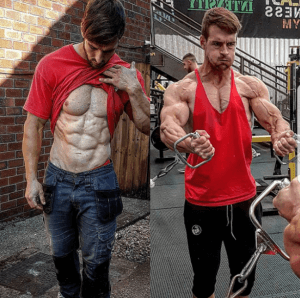 I was always into football growing up but a serious knee injury forced me into an early retirement and the rehab following lead me into loving the gym. Motivation is always wanting to better myself, either beating old lifting records or adding size on bringing up lagging body parts. 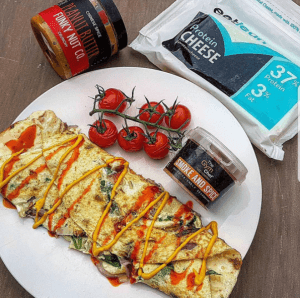 I first discovered the cheese in my local Morrison’s store, I just remembered seeing the ‘protein’ writing on the packet and it catching my eye. It looked nothing like the others. It means a lot to me, I can show people that anyone can change the way they are if they aren’t happy with how they look and their lifestyle to suit them. There isn’t a one stop fix for everyone. For me it would have to be making a mean cheese burger. 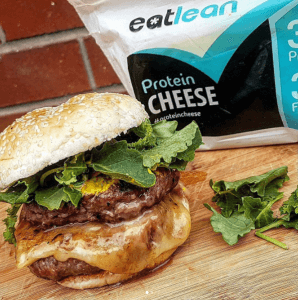 Burgers are my favourite food but often are seen as junk food, using extra lean steak burgers & using the Eatlean cheese on wholemeal bread it actually becomes a low fat lean meal that looks naughty.